Celebrate National Nest Box Week at Hever Castle’s ‘Living with Birds’ this Half Term. Learn about birds and their nesting habits as bird and nature expert, Tim Christian, leads a bird box building workshop* (*£5 in addition to entrance fee). Building a bird box to take home contributes to the conservation effort in the UK whilst giving you the pleasure of observing any breeding birds you attract to the garden. Young visitors can make a bird feeder in a FREE craft workshop and find out more about different species of British birds with the help of an activity sheet. After enjoying the family fun in the grounds, warm up in the Castle as you discover how birds were significant in Tudor times. National Nest Box Week is organised each year by the British Trust for Ornithology (BTO), Britain’s leading bird research charity. They encourage everyone to put up nest boxes in their local area to promote biodiversity and conservation of our breeding birds, particularly now the natural nest sites on which many of our bird species depend, such as holes in trees and buildings, are fast disappearing. From February 14th – 28th (weather dependent) visitors can follow a snowdrop trail through the grounds where a dusting of frost adds to the beauty of a walk in the award-winning gardens. At this time of year, delicate snowdrop bulbs are starting to emerge after their winter dormancy, the first sign that spring is just around the corner. 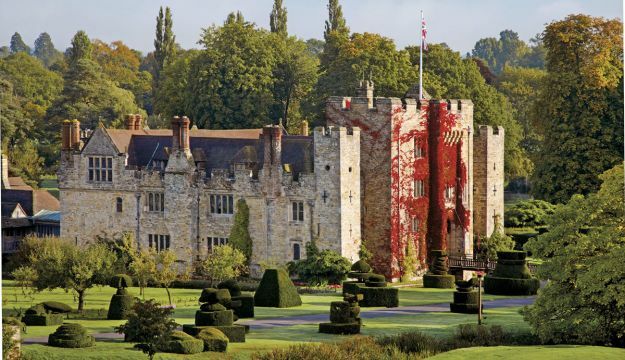 For further information please visit the website: www.hevercastle.co.uk or call Hever Castle on 01732 865224.